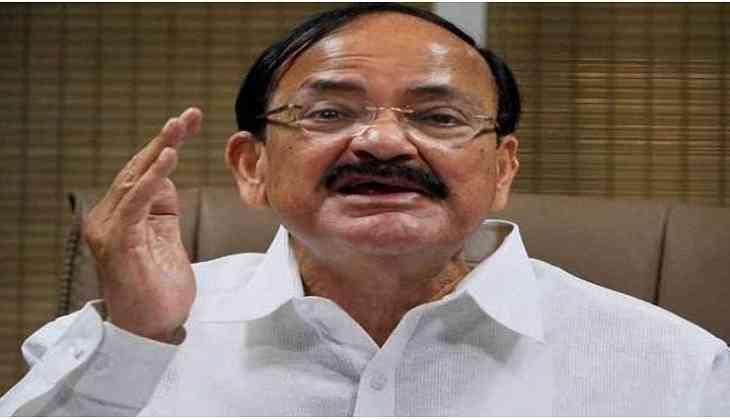 Housing prices will come down after the GST rollout, Union Minister M Venkaiah Naidu today said, while expressing confidence that the landmark tax regime along with property law will bring big relief to home buyers. Naidu, the minister for Urban Development and Housing & Urban Poverty Alleviation, said only fly-by-night operators and habitual tax evaders are opposing the Goods and Services Tax (GST). "GST plus Real Estate (Regulation & Development) Act (RERA) will definitely bring big relief to house owners. There is no scope for evading anything in the GST. Input credit will also be transferred," he said at the Aaj Tak-GST conclave. The RERA regulations, which came into force from May this year, are such that there is no way to escape, he added. "As a Urban Development and Housing Minister, I am the happiest man that with the GST, prices of houses will definitely come down," Naidu said. "If anybody is opposing the GST, it is habitual tax evaders. Larger builders community is happy, except fly-by- night operators," he said. The minister emphasised that the Centre and states need to implement the new real estate law in an effective manner. "Land and housing are state subjects. States are implementing agency," he said, but quickly added that he was not shying away from his responsibilities. The minister was responding to a query about significant delays in housing projects in the national capital region, causing distress to home buyers and investors. Naidu said he will discuss the issue with the Uttar Pradesh government. Yesterday, the government hiked the GST rate for the construction sector to 18 per cent from 12 per cent but removed land value from computation of tax liability. The GST Council had in May decided to levy 12 per cent GST on construction of a complex, building, civil structure or intended for sale to a buyer, wholly or partly. The value of land was to be included in the amount on which tax was to be calculated.